Clipping Chix: HomeDepot.com: Gorilla Ladders 2-Step only $12.88 with FREE In-Store Pickup! HomeDepot.com: Gorilla Ladders 2-Step only $12.88 with FREE In-Store Pickup! 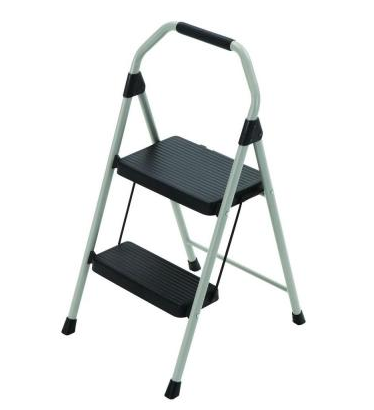 HomeDepot.com has Gorilla Ladders 2-Step Compact Steel Step Stool with 225 lb. Load Capacity on sale for $12.88. Select free store pickup to save on shipping. CVS: Cocoa Puffs Cereal only 88¢ after Printable! Giant PA: Marzetti Croutons FREE with Coupon! Amazon Prime only $73 (reg. $99.00) this Weekend! Rite Aid: Listerine Floss only 99¢ after coupon! Dollar General: FREE BIC Cover-it with Coupon! Rite Aid: 75% off Christmas Clearance! Target: FREE Bic Ball Point Pens with Coupon! Rite Aid: FREE Bic Pens with Coupon!